In 2009, 14 year-old Nisha’s mother committed suicide, leaving her as the primary caretaker of her five siblings. While she looked for discarded scraps to eat and plastic bottles to sell, her brothers and sisters begged. Because she lived in the neighboring slum of Indiranagar, CRHP became aware of her circumstances and searched for ways to help, deciding to teach her skills that could lead to her financial independence and success. The Comprehensive Rural Health Project established Helping Hands in 2010 to provide employment and skills-based training to vulnerable women, like Nisha, in the Jamkhed community of rural Maharashtra, India. Currently, Helping Hands serves as a fair-wage program as well as a funding source for CRHP’s Adolescent Girls’ Program. Thanks to a grant from the Share and Care Foundation, Helping Hands will, over the course of this year, expand to train six women from different CRHP Self-Help Groups in crafting, income generation, financial literacy, business, and leadership. These trained women will then become the Helping Hands Representatives and train other Group members. In addition, increasing Helping Hands inventory will enable wider product distribution and program sustainability through existing and new partnerships in Pune and Mumbai. Our inventory has expanded to include a larger selection of sari cloth items, fruit candy produced by women on the Rajanikant Arole Demonstration Farm, coasters made from extra wood from the artificial limbs workshop and adorned with broken bangle pieces, watercolor paintings, and handmade leather sandals, among other items. The next step is to strengthen our existing relationships with retailers in both Pune and Mumbai and create new partnerships to sell our products. CRHP has begun the selection process for the women to join the Helping Hands workshop. This expansion will assist not only in funding the ongoing operations of Helping Hands, but will ensure job security for the six existing employees and the newly trained women. 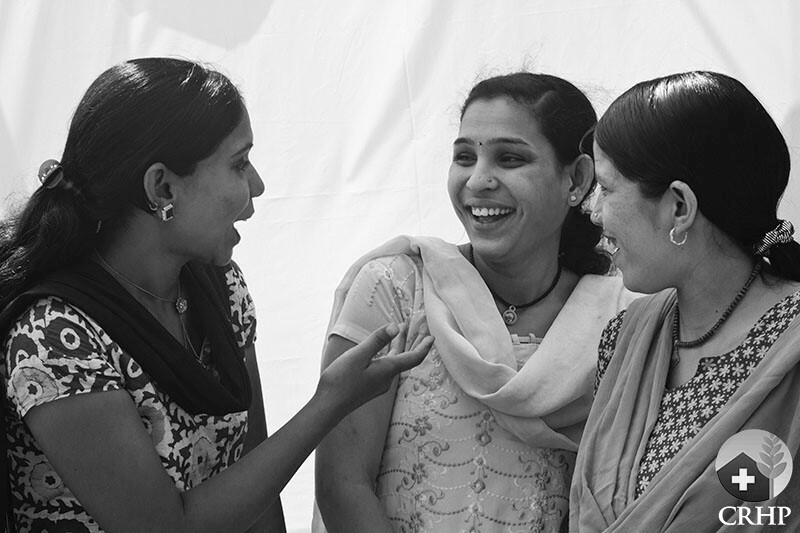 Community members, particularly women, experience many intangible benefits after receiving training and support from CRHP including community acceptance, empowerment, and increased confidence. Secondly, a portion of the profit from the sale of Helping Hands products is put towards the operation costs of the Adolescent Girls Program (AGP), a six-month program for unmarried girls between the ages of 12-18 that addresses topics of mental and physical health, the environment, and social issues. Thankfully, Nisha is now living in Pune, where she started her own family. We know she would be proud of what she helped to start and that Helping Hands is able to help more and more women escape the cycle of poverty by empowerment through financial independence. We are grateful to the Share and Care Foundation for the grant and looking forward to continuing to expand this project.